If I had a child, I would totally get one for him or her. Hell, I might get one for the dogs. 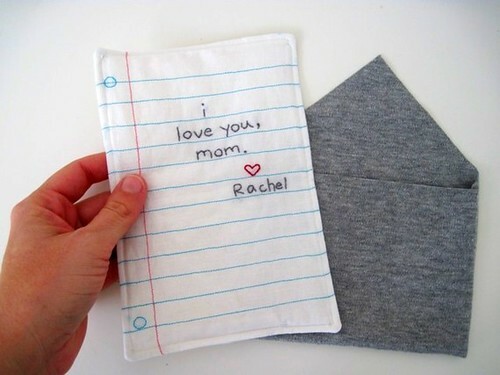 It’s a hand embroidered, quilted note. It has nothing to do with the kitchen, but it’s mushy and adorable and perfect and maybe I’m still feeling a little sappy but I LOVE IT. Of course, it’s from Etsy. Where else? this is really cute. It’s so unique. I don’t know how those Etsy people come up with such good ideas. Hey, I love your blog. So, I am happy to pass on the Stylish Blogger Award. It’s a fun blogger award for fellow bloggers to show their appreciation for each other. You can find more details on my blog.